I recently had the honor of participating in an Eagle Scout Court of Honor for the son of my Senior Warden at St. Joseph Lodge #970. What made the event even better is that it was held in our lodge room. I have known this young man since he was a cub scout, and it was a personally moving experience for me and others to see him grow to be an outstanding young man, and to achieve this rank. 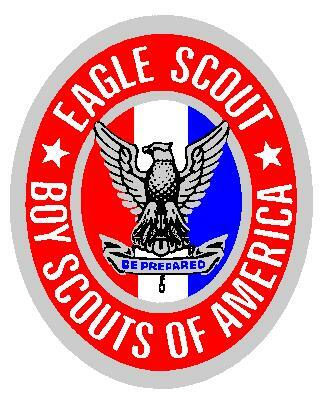 Since its founding in America, The Eagle Scout has been awarded to 2.5+ million men. Only 4 percent of Boy Scouts make it to this rank. Unfortunately, this author is not one of them. I am what is commonly known in Scouting circles as “Life for Life”, meaning I obtained the rank of Life Scout, but did not make Eagle. I am a graduate of the Woodbadge adult leadership program, which is thought of the Adult equivalent of Eagle Scout for Scout Leaders. Freemasonry and Scouting have a strong relationship. There were several Freemasons in particular that were instrumental in Scouting’s foundation. Even though Lord Baden Powell (who was Scouting’s Founder) wasn’t a Freemason, he was a Knight of Grace of the Order of Saint John of Jerusalem. This organization which sprung up from the Knights of Malta, traces its linage back to the Knights Hospitaller of medieval times. They would have fought together with the Templars (and by some accounts against them) during the Crusades and most likely shared esoteric knowledge found during the Crusades. The Knights Hospitaller were established first in 1070 A.D. managing a hospital for sick pilgrims in Jerusalem. The Knights Templar were founded around 1118 A.D., when the Knights Templar were disbanded in 1312 AD, much of the Templars property was given to them. There were also quite a few Templar knights which would have joined the order to escape persecution. One can surmise that some of the rituals and beliefs of the Templars would have influenced them, and would have been passed down through the Knights of Malta. Much like the influence of the Templars upon the Scottish Freemasons is said to have been passed down to us. It then stands to reason that the influence of the Templars upon both the Order of Saint John of Jerusalem and the Freemasons would be similar philosophies. Lord Baden Powell is said to have stated that he did not join the Freemasons because he didn’t want to offend Roman Catholic scouts, but he seemed to approve of Freemasonry. One could only then assume that Lord Baden Powell used some of the principles that he was taught through being in the Order in laying out Scouting’s philosophy. He was also close friends with Freemason Rudyard Kipling, who had a heavy influence on the formation of the Cub Scouts. “The Boy Scouts of all nations constitute one of the most wholesome and significant influences in the world's history. You have been declared worthy of the high rank of Eagle Scout in the Boy Scouts of America. All who know you rejoice in your achievement. Your position, as you well know, is one of honor and responsibility. You are a marked man. As an Eagle Scout, you are expected to exemplify in your daily life the high principles and values expressed in the Scout Oath and the Scout Law. You have assumed a solemn obligation to do your duty to God, to your country, to your fellow scouts, and to all other human beings. This is a great undertaking which you are now just beginning. As you live up to your obligations you bring honor to yourself and to your brother scouts. As an Eagle Scout, you will be a champion to other scouts and be an example to your community. Remember, your actions will be more conspicuous. People will expect more of you. It is your responsibility to help maintain the high regard that all Americans have for Eagle Scouts. To falter would bring discredit, not only to you, but to your fellow Eagles. Keep your ideals high and your honor bright. Your responsibilities, however, go beyond your fellow scouts. They extend to your country and to your God. America has many good things to give you, and to give your children after you; but these good things depend, for the most part, on the quality of her citizens. Our country has had a great past. You can help make the future even greater. I challenge you to undertake your citizenship with solemn dedication. Be a leader, but lead only toward the best. Lift up every task you do, and every office you hold, with a high level of service to God and to your fellow human beings. Live and serve so that those who know you will be inspired to the highest ideals of life. In Illinois, the charge to the candidate in the first degree deals with using the volume of Sacred Law as a tool to learn the duties the candidate owes to God, his neighbor and himself. It also speaks about what it means to be a good citizen, teaching him to obey the law, be allegiant to his Country, and to not subvert the good order of society. It charges him to practice the domestic and public virtues as an individual. Finally, it reminds him that his behavior reflects on Freemasonry as a whole. As you can see, Freemasonry and Scouting share many of the same ideals. It stands to reason then why so many Freemasons like myself were once Boy Scouts. 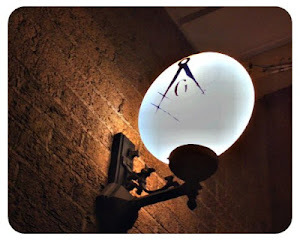 You can also see more of Freemasonry’s influence in the ritual for the Order of the Arrow, which is an honor (“secret”?) society of the Boy Scouts of America, but I will save this topic for a future article. The Grand Lodge of Indiana offers a special presentation from masonry to be made at the Eagle ceremony if requested. It is a fine certificate and is intended to be presented by a WM or representative of the grand lodge. Are We Looking at Our Own Jedi Moment?